4-Point Mounting: Adjustable depth shelf is designed to be mounted to the front and rear rack rails. 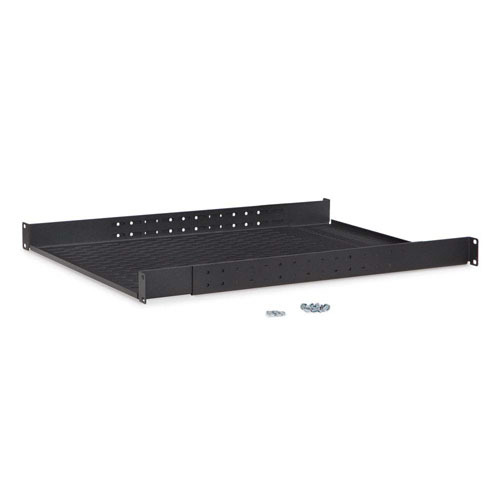 This 4-point mounting is highly recommended for supporting large, heavy devices such as servers, battery backups, and UPS's. Heavy Duty: Made from heavy gauge steel and finished with a black textured powder coat for a quality shelf that can support up to 250 lbs. Rounded Corners: Rounded corners reduce the risk of damage from sharp edges to your devices, cabling, and/or hands. 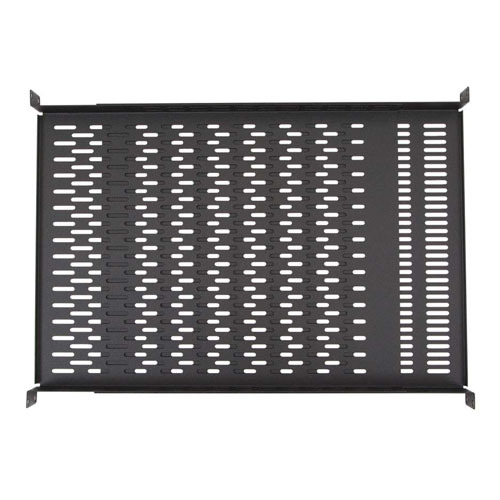 Ventilation: Vented base prevents hot spots and allows air to freely circulate throughout the rack or cabinet.